They say an Army marches on its stomach, so this is one of our most important guilds! We set up a kitchen demonstration with a variety of foods being freshly cooked in front of the audience (adding delicious smells to the campsite). 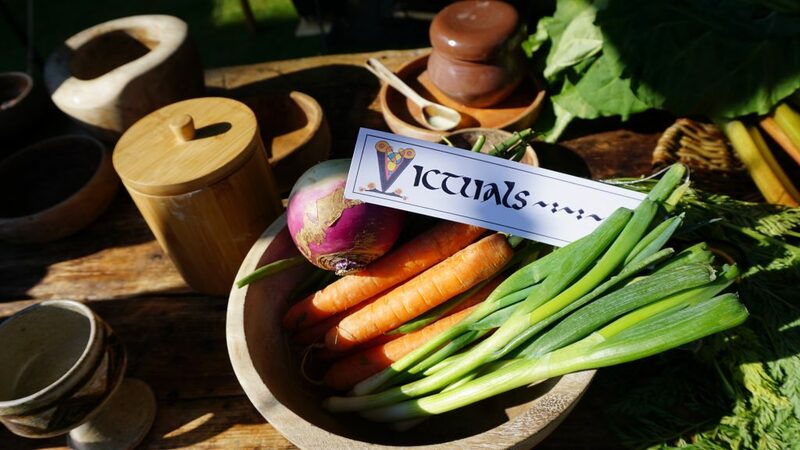 A lot of the group members will also make authentic medieval recipes at home and bring them along for the group to eat over the weekend. 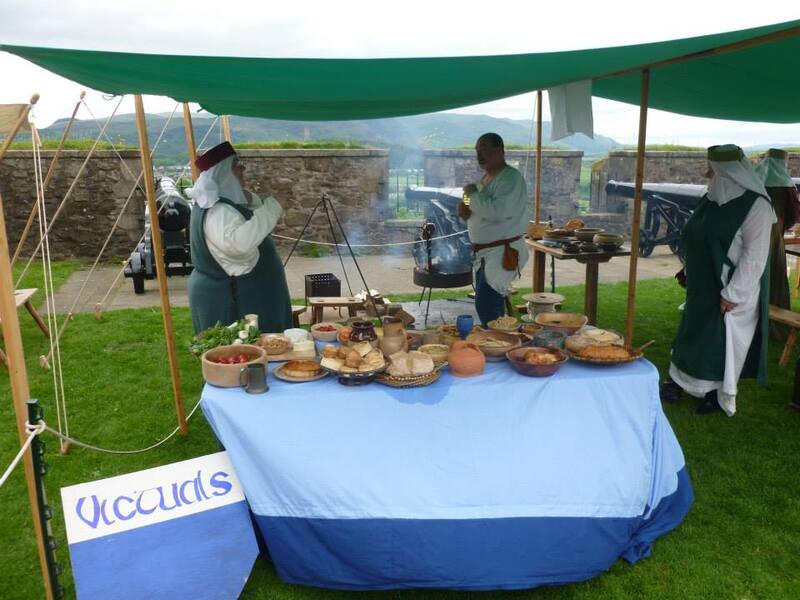 The public are invited into the camp to have a look at what medieval people would eat, with the food guild giving a timetabled 20 minute (or rolling throughout the day) presentation just before lunch.